This was a large photograph in a prominent position within Pavely's own album. I expect it was of particular significance but unfortunately cannot identify the modeller - although it's almost certain that the model is a Pavely Compressed Air driven aircraft. Note the youngsters with their 'hoops'. 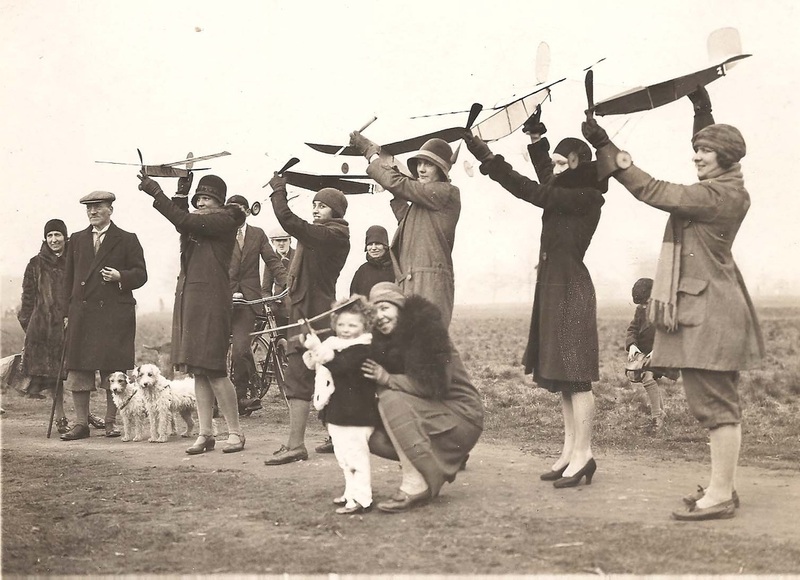 Simple pleasures in those days! 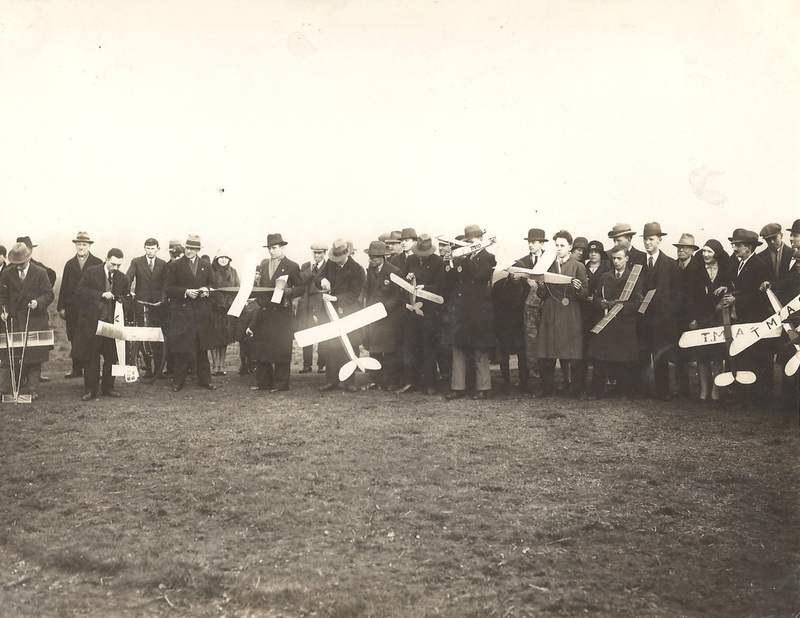 Note: I have subsequently discovered pictures in another album that lead me to believe this was taken at a TMAC meeting on Wimbledon Common on 1st May 1930. 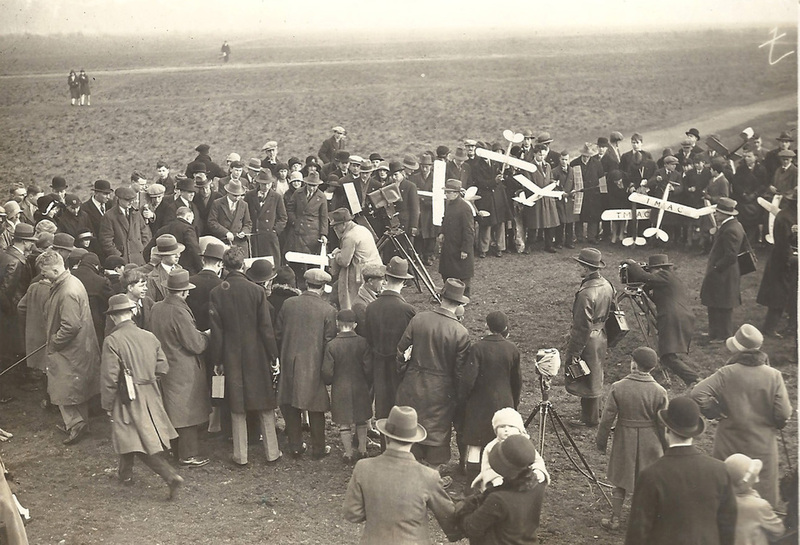 Press were apparently present on that day and the mystery aeromodeller MAY be Herbert Dowsett who was present on that occasion with his 'Dowsett Hawk-Special'. 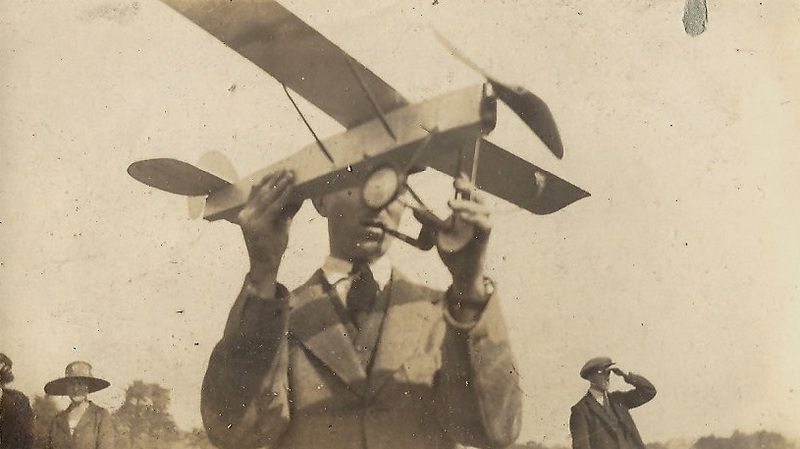 This is NOT that aircraft but that does look very like Mr. Dowsett. And this is why I believe the previous picture MAY be of Herbert Dowsett. 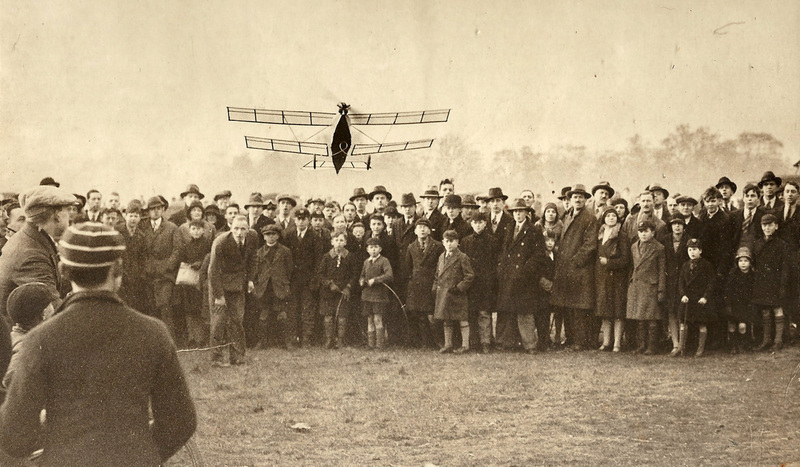 This picture was taken at the meeting on Wimbledon Common in March of 1931 where Dowsett was present with his Hawk-Special petrol driven model. The meeting had considerable Press coverage. They all seem very interested in something going on to the left of the picture - shielded by the crowd! 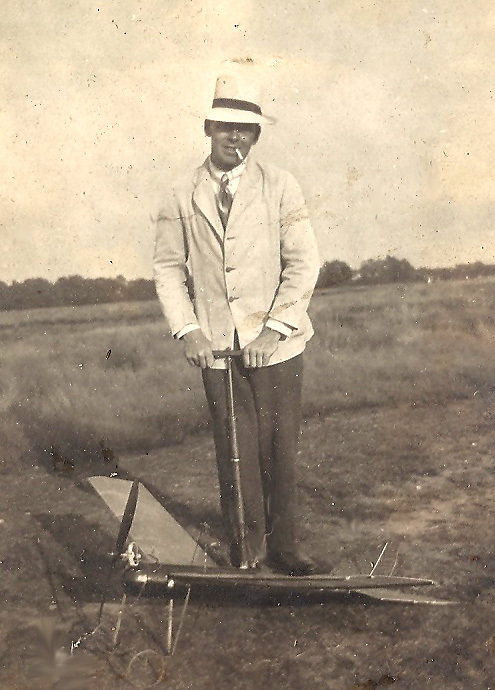 From other photographs of the occasion it MAY be Herbert Dowsett with his 'Hawk-Special'. See 'DOWSETT' in the 'PEOPLE' section. And you can see the result of the filming here! 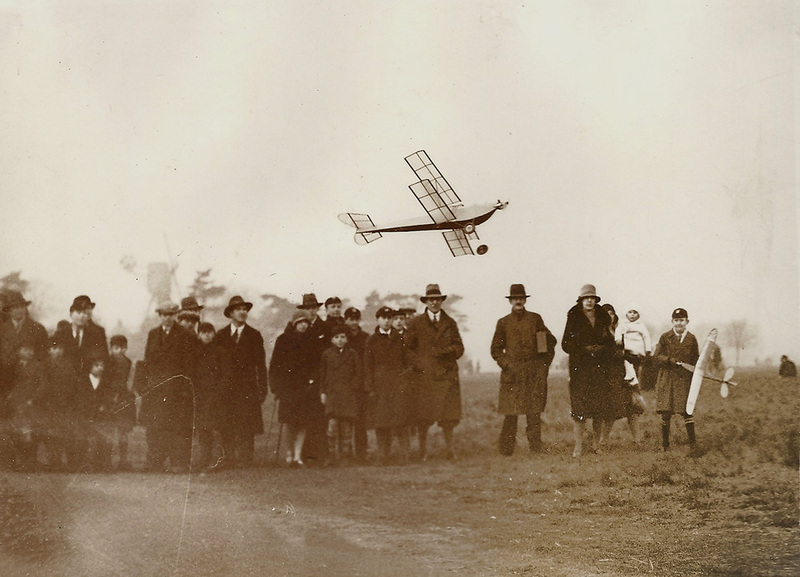 This picture was very prominent amongst those taken at the 1930 meeting. 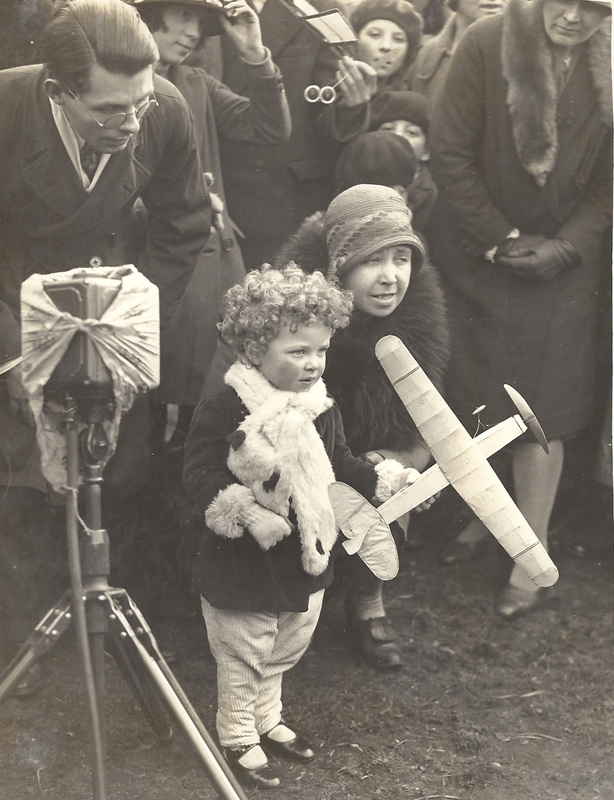 I had thought it might be of H. Dowsett's wife and son but now think that this is not the case. ANY IDEAS? I believe the model is a Pavely design but who is that with it. Not DAP as far as I can tell. 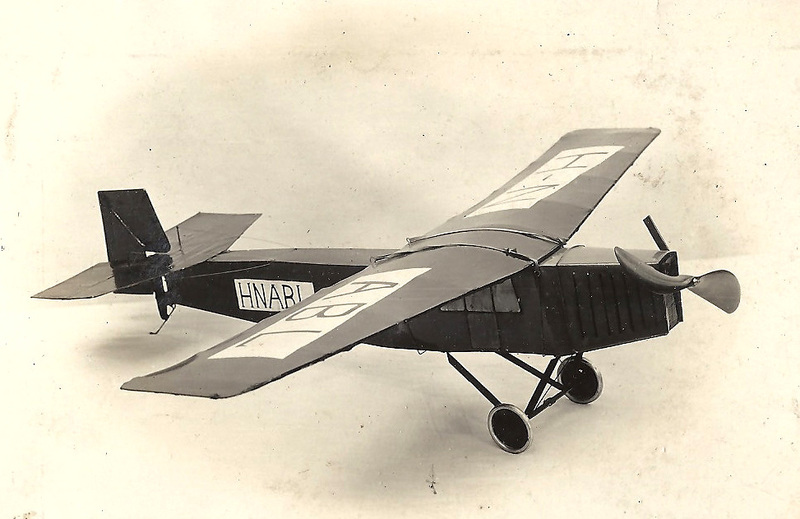 Leigh Richardson tells me this is a Fokker F.III - Possibly designed by Juste Van Hattum.